All ROBINHOOD ACRES homes currently listed for sale in Phoenix as of 04/19/2019 are shown below. You can change the search criteria at any time by pressing the 'Change Search' button below. "Fabulous custom built, energy efficient home in excellent location w/ easy access just off the 51 freeway and NO HOA! 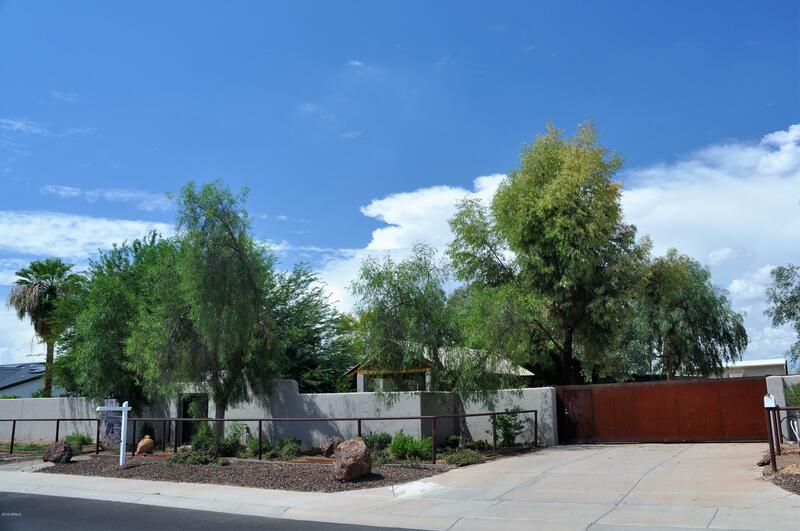 Great privacy w/ 7 ft. block w/stucco fence w/ custom automatic metal gate/door & wooden entry gate. Enter to lush courtyard w/ abundant trees, citrus, planters & cabana w/ built-in BBQ. Home has 12'' exterior masonry walls, high ceilings, niches & lighting, pecan cabinetry, abundant windows, porcelain tile floors, skylights & lifetime metal roof w/25yr Henry Co. silicone paint. "